No More Hiroshima, No More Nagasaki, No More Wars. No Hatred or Prejudice against Any Nation or People. 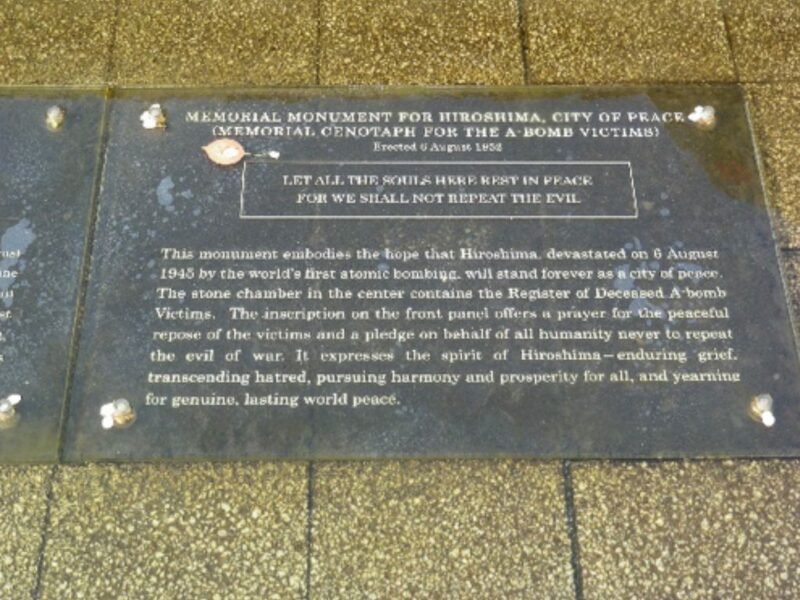 "Please rest peacefully; for we will not repeat the evil (of war)"
- Hiroshima's message to the victims. no matter how some people try to justify those attacks. to imagine what happened with the people on the ground. This website is all about Hiroshima, the city that I call my permanent hometown. I was born in Hiroshima in 1954. My grandmother was one of the victims of the atomic bombing of the city in 1945. I grew up in the city, witnessing how the citizens of the city lived and how the city was rebuilt. This website has one single objective—to advocate the non-use and abolition of nuclear weapons through the experience of Hiroshima and its citizens. The atomic bombings were indiscriminate attacks. Hiroshima and Nagasaki were selected as targets because they had “a large urban area of more than three miles diameter” and they were deemed to “be capable of being damaged effectively by a blast.” The bomb was dropped over the commercial hub in Hiroshima, with the city’s port and industrial areas located over four kilometres away and not damaged by the blast. Also inhumane were the US post-war interactions with the survivors (hibakusha or atomic bomb-exposed survivors) which were solely for examination of the medical effects on humans and not for treatment. More regrettably, the publication of any reports on medical effects was prohibited (for six years), including those reports intended to help medical professionals treat survivors with unprecedented burn injuries and previously unknown radiation sickness, who were dispersed throughout Western Japan. The survivors were faced with a shortage of food, medicine and housing. Hiroshima, having lost a large part of its tax base, was unable to help them. The ban on the dissemination of atomic-bombing related information imposed by the GHQ (General Headquarters) of the Allied Powers made it difficult for the Japanese Government to offer special assistance to the survivors. It was only when John Hersey’s article “Hiroshima” appeared in the New Yorker in May 1946, did become known outside Japan what happened with the people on the ground in Hiroshima, a city where even bricks and tiles were melted by the heat flash and subsequent fires. It was in 1972 when free health care finally became available to the qualified survivors. 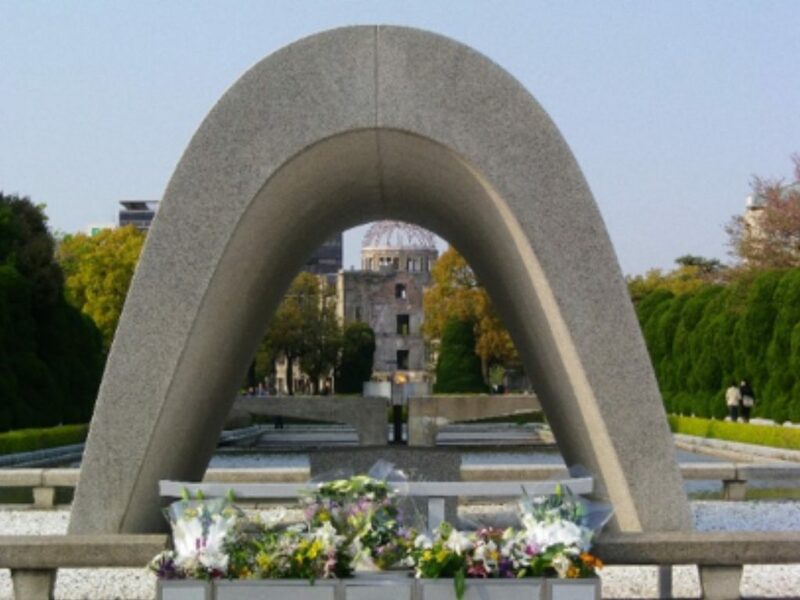 Despite the fact that their sorrow and suffering were caused by a crime against humanity that was committed by the US Government and those involved in the production and delivery of an atomic bomb, few survivors are demanding an apology from those who committed the crime. Some survivors merely want those who committed the crime to understand the sorrow and suffering they experienced. More importantly, there virtually is consensus among the survivors that it is the war—war in general—that should be blamed and that it is their obligation to continue to voice their fervent wish, “No More Hiroshima,” the non-use and abolition of the nuclear weapons. After more than 70 years after the atomic bombing, the number of the survivors has been declining steadily. 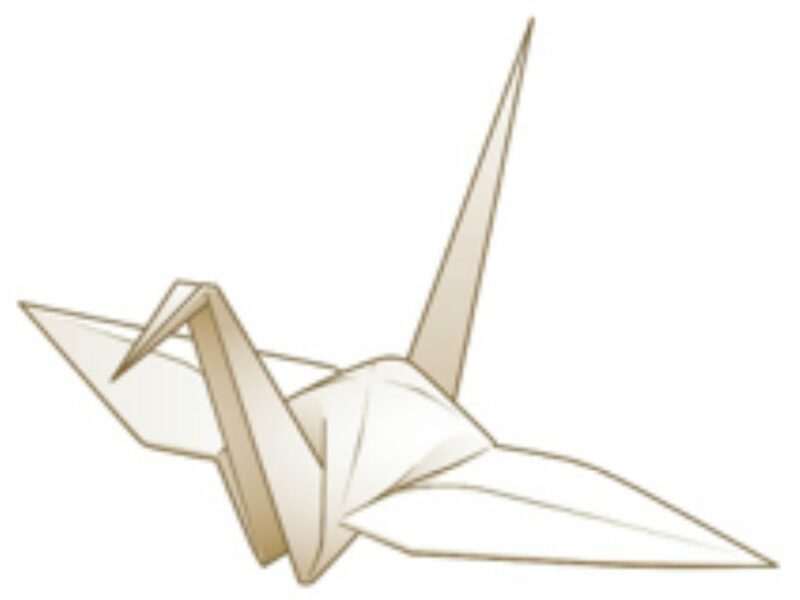 It is hoped that this website can support the “No More Hiroshima” movement by the survivors and Hiroshima, by informing its visitors of the experience of the survivors and the city as well as the facts about the atomic bombings. Despite the decades-long cry for “No More Hiroshima” involving many people around the world, nuclear weapons still exist for immediate use. In fact, we were close to witnessing the use of a nuclear bomb again at the height of the Cuba crisis in 1964. The number of nuclear states has increased. North Korea’s nuclear missile capability has become a significant threat not only to the US but also to all nations. Iran attacked a U.S. aircraft carrier in the Persian Gulf, killing 2,403 military personnel (the same number of people killed at Pearl Harbor). The US president was given two options: mount a land invasion to reach Tehran and force the Iranian government to capitulate (at an estimated cost of 20,000 American fatalities), or shock Iran into unconditional surrender by dropping a nuclear bomb on a major city near Tehran, killing an estimated 100,000 Iranian civilians (similar to the immediate death toll in Hiroshima). 59% of respondents backed the latter option, i.e., the use of a nuclear bomb. Even when the number of expected Iranian civilian fatalities was increased 20 fold to two million, 59% of respondents still approved of dropping the bomb. Some people justify the holding of nuclear weapons based on a deterrence theory. However, if there is tolerance prevailing among the general public for the use of nuclear weapons against (perceived) enemy countries or groups, nuclear weapons can become more than a symbolic, deterrent element. US surveys reveal a consistent tendency among the Americans that a majority of them support the use of nuclear weapons as a practical solution. In a survey in 2015 by Pew Research Center, a question was asked whether the use of atomic bombs on Japanese cities in 1945 was justified or not, and 56% of American respondents replied in positive. We may argue that those respondents would be more likely to choose an option of dropping a nuclear bomb in the earlier mentioned survey. An important point is that it would be difficult for those who replied in positive in the Pew Research Center survey to accept an idea that indiscriminate, inhumane killings of people in Hiroshima and Nagasaki by atomic bombs was a crime against humanity, simply because they believe that the use of atomic bombs can be justified. It would also be difficult for them to accept the non-use and abolition of nuclear weapons (see the box below). This website provides latest, correct information to challenge or deny the justifications people often have for the use of atomic bombs, hoping to pave the way for them to accept Hiroshima’s cry for non-use and abolition of nuclear weapons. I believe that correct understanding of history and accepting it is necessary for any nationals to learn the lessons from their history. I do not blame or argue with those who believe that the atomic bombings were necessary to end the war or to avoid Allied Forces casualties. My concern is that merely justifying the bombings can be counterproductive to the efforts by Hiroshima and others to make the world a peaceful place without nuclear weapons. This website includes various information about Hiroshima and the atomic bombing. I would like you to spare time to read at least one or a few stories of survivors. Enkoh Bridge became a reinforced concrete bridge in 1926. Enkoh Bridge over Enkoh River before 1926. Motoyasu River, Atomic Bomb Dome on the left and Peace Memorial Park on the right. This stone monument is located near Atomic Bomb Dome.